Find in few clicks and for free, the relevant partners to substantiate your ingredients or your finished products. Based on claims, it is easy to identify the best methods, the analyse supports and the devices. Choose the testing lab (CRO’s) all over the world and contact them directly. This portal dedicated to pre-clinical testing is currently under development. You will find your testing partners for the safety and efficacy assays on skin explants, monolayer or 3D cells, reconstructed skin models or 3D bioprinting skin. Tolerance, Efficacy, Sensory analysis for skin, scalp, nails and hair studies. Find the news from testing and evaluation of ingredients, actives and finished products, toiletries, make-up, skincare: innovations and trends, science, technology and business which influence the field of nails, hair and skin evaluation. Thanks to a collaborative work with all stakeholders of the skin analysis field, the Skinobs portals help the cosmeticians, R&D managers, formulators, marketers and regulatory authorities to find worldwide, the testing partners and the relevant methods to substantiate the active and finished product claims. Skinobs provides fast and in-depth information on existing methods (technical sheets), devices and CRO’s (Corporate lab sheets). It gives direct access to CRO’s complementary request. It is a unique support that answers all questions about product evaluation: what claim, what method, what measure, what CRO’s, where,...? These platforms optimise the developments of products in terms of performance, cost, speed, and innovation. Our secret: a precise knowledge of the manufacturer needs, a spirit of innovation and a great enthusiasm! Listening to the trends and the evolution of the technologies to study nails hair, and skin, we work to the constant improvement of our database. 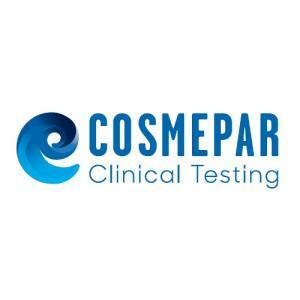 We place the expectations of cosmeticians and test providers at the heart of our thinking and of our independent and comprehensive approach. 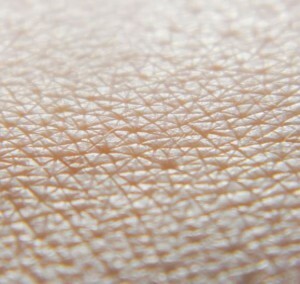 Skinobs.com is a free service for users to search for devices, methods, instrumentation manufacturers, test laboratories, areas of specialization or services provided for the objectification of the skin and the assessment of claims of products and cosmetic ingredients via a search engine and a database. Research of a device or a laboratory to know which method and what laboratory are capable of supporting a claim. Access and use of Skinobs.com are reserved for users individuals. The website mentioned, www. Skinobs.com is then referred to the website. Any person accessing the website will be designated by the term user. Any company referencing on Skinobs.com will be designated by the term pharmacy partner. The Skinobs.com site presents the offers of manufacturers of devices to measure skin and testing laboratories worldwide. Where abnormal content, the user will report problems, by contacting us by e-mail at contact@skinobs.com and by explaining the problem identified. Access to the website must be carried out in a strictly personal capacity. The use of the services provided by the Internet site, and access to information is the outcome of a proactive and voluntary by the user. The user who is looking for information on the website does personally, and the information provided by the website partner companies users are private. The website allows users to obtain information on devices and testing and partner companies. The user being proactive and voluntary approach, the website is only a facilitator of research information for the user. Access to the information at any time, does not guarantee that information is a reflection of the actual information in the assessment of the effectiveness tests in vivo as specified in article 5. The information concern the whole of the world. Skinobs.com does not guarantee to the user seamless and secure access to the website. The proper functioning of the website may be affected by non-controllable factors. The Web site contains robot exclusion files. The user undertakes not to use a robot, spider, scraper, or use any automatic method to access the website, for any purpose whatsoever. Web site can reference all the efficiency tests in vivo, but the website cannot guarantee that all equipment and laboratories are registered and that their information is up-to-date.